Nikon users who are out there wishing for a full-frame mirrorless camera from the storied Japanese brand have two more reasons to feel hopeful today. 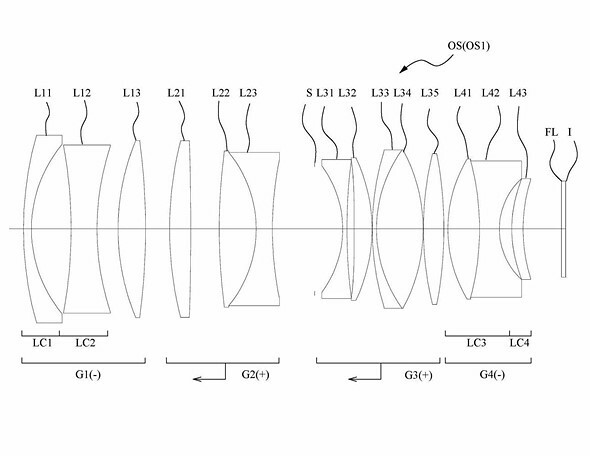 It seems Nikon has filed two new patents for full-frame mirrorless lenses in Japan: one for a Nikon 52mm F0.9, and another for a 36mm F1.2. The patents were spotted by Japanese site hi-lows-note, and come complete with a few lens diagrams so you can ogle the lens elements while you cross your fingers even tighter. 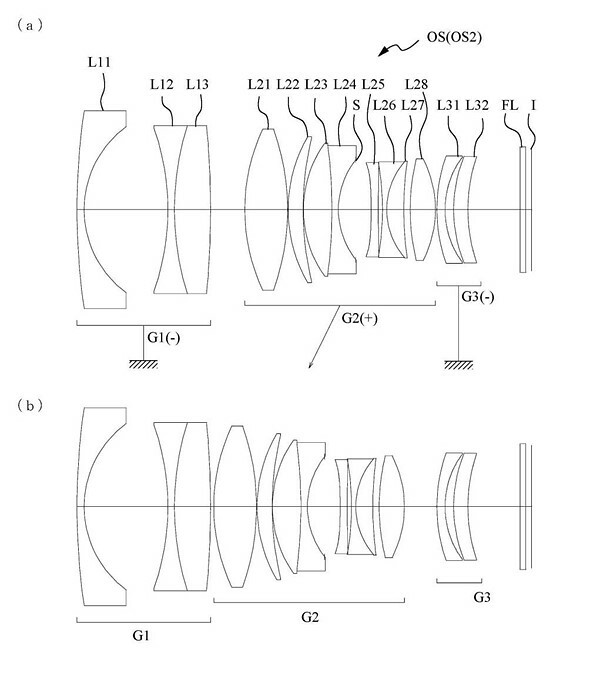 It's worth noting that this isn't the first time Nikon has patented a full-frame mirrorless lens—two zoom lenses for FF mirrorless were patented three years apart, one in 2014 and another earlier this year. 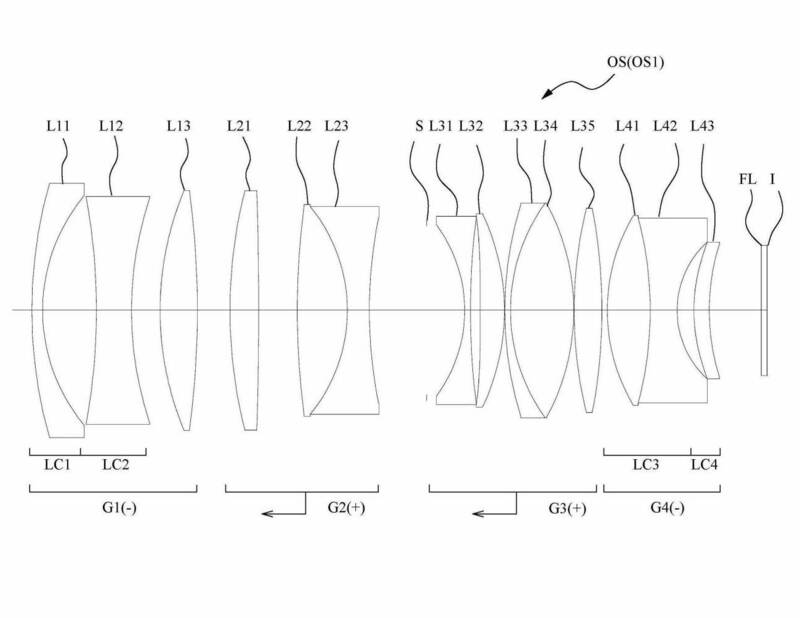 But while a patent does not a new lens confirm, the more of these lenses Nikon puts on paper, the more hopeful we'll be that a full-frame Nikon mirrorless camera is on the way. For more on that possibility, read the official statement Nikon sent us on their future mirrorless camera plans. I can only dream of filming the Northern Lights with a 0.9 aperture. My fingers are crossed! I am the lucky owner of a Nikkor Noct 58mm/1,2 AiS that fits on my D700. Maybe that will be the best wide-open lens for FF SLR. The results are incredible and it wonders me what can be better with today's technology. wait, are there any full frame mirrorless cameras out there? dis i miss something in the news? look like nikon will step into game..
You missed people want mirrorless Nikon BAAADLYYY!!! Of course Nikon will eventually make a FF mirrorless. Probably not while the only "serious" competition comes from Sony, but when Canon feel their system has matured enough to be upgraded to FF, Nikon will have no choice. They also took their good time to introduce FF in the first place, actually being beaten by Canon by years and Sony by months. Old farts like yours truly will always prefer an OVF, but the smartphone generation couldn't care less - preferring the ability to see exactly what they're shooting with the camera high above their heads or in other "impossible" positions. Tethered shooting is another situation where there really is no reason to spend excessive amounts of money on prism, mirror and everything else needed for an OVF to work. What do you do in light/dark extremes? Too dark to see or bright? Do you do a lot of chimping? How do you know it's exposed properly, or finely focused? What about rule of thirds, level balance, live view, zebra, focus peaking, etc.? Many find these EVF aids allow them to accomplish their task, difficult or impossible without. Don't need all that infernal nonsense? Firstly, look through the viewfinder of a Sony A900, then add the Type L focusing screen. Now, that's what I need in terms of viewfinder. Secondly, my remarks about the smartphone generation (yours, I dare to suppose, considering that you apparently stopped reading and went on the defensive) were not meant any more negatively than calling my own generation old farts - it was used affectionately. If you bothered to read the last two paragraphs you would perhaps realise that I advocate the use of EVF's. You can't teach old dogs new tricks, they say. I say: Don't become an old dog at a young age. I still have my first camera I bought in 1981 and 3 of the lenses. I used that Minolta XGA for 20 years. Then I went digital in 2001with consumer grade cameras sporting 10x optical zooms. 2011 I bought a Sony a55 with an EVF. A lot of people use the LCD screen primarily, and I do in awkward shooting positions, but I'm an "old fart" who prefers the view finder. Reviewers gripe about an EVF versus an OVF, but EVF can do so much more, like enhanced reality. I have a Galaxy S7 smartphone (good camera btw) and have used it to control my a7Rii or get images from it. There are increasing numbers of folks who would reject a camera without an EVF. The mirrorless a7Rii allows me to use those old, MD lenses with a $19 adapter. They are manual and the focus peaking enabled by EVF helps me get the focus where I want it. "Nikon users who are out there wishing for a full-frame mirrorless camera..."
My guess is that Nikon will release an APS-C mirrorless camera first, because that sensor size is where the huge sales volume is. People said the same thing right before Nikon introduced the 1 series with a 1" sensor. Nikon doesn't always make the decisions you think they should. The thing about Canon and Nikon is that they are torn between DSLRs and mirrorless. And they still remain heavily biased towards their DSLRs. So would they really want "huge sales volume"? After all, that's why they chose a 1" sensor for their previous mirrorless system; APS-C would have been too popular for their tastes. Canon and Nikon have both done things to intentionally limit the appeal of their mirrorless systems. 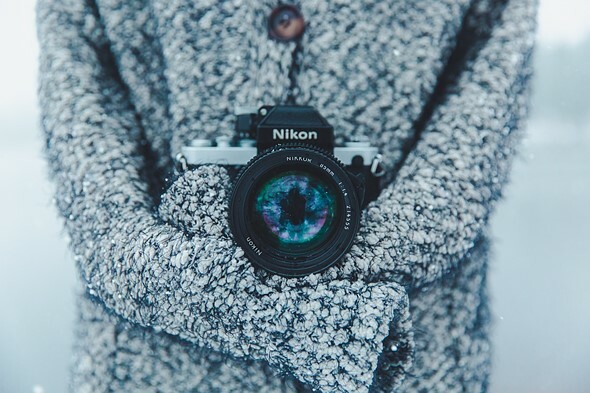 "Nikon doesn't always make the decisions you think they should." They'll be out of business before these come to market. "beloved"? Its hardly hit the streets! It's Nikon. People don't have to actually have one to adore it. It helps, but it's not essential. I dunno if I love the d850 but I sure as hell lust after it, and I never owned a nikon in my life. Let's hope this means they will come into fruition. I'm a Fuji shooter but really happy for a company like Nikon who's made great equipment for photography lover like us. I hope this will be successful and their business will flourish. Long live competition, in the end the real winner is the consumer. They look like Cine lenses, however having such an extreme thin DOF is not all that practical to use in moviemaking. Strange design. Guess they are just patents, nothing that will be made for real world use. And if, then definitely not for a consumer type camera. because they would be either crap or expensive as a car. Even liking and following most of technical discussions, I have a question. Maybe someone can help: why seems to be impossible using regular lenses (Nikons, Canons EF) with mirroless cameras directly? And, for instance, we would have the next Nikon D6 with dozens os lenses already in the market? Thanks in advance. It's not impossible at all. It would simply be a very poor design choice. That would eliminate Nikon's ability to offer truly small-bodied cameras in the same lens mount. Look at Fuji and Olympus. They both sell larger, more ergonomic "pro" size models, and then they have their compact models; all using the same mount. If Nikon went with standard F mount lenses, all the cameras in their expected mirrorless line would be needlessly larger. There is no real reason Nikon or Canon couldn't make a mirrorless camera that uses the existing lenses mount and in fact I really want them to do so. Of course using the existing mount will mean you wouldn't be able to reduce the size of the camera in the way Sony and Fuji and the like have been able to do so. This is a problem for some, but I don't really mind my camera being "big". Well, the point about mirrorless cameras is that without the mirror box, you can make the camera less deep. Instead of a mount flange distance of 46.5mm you could have, for example, 18mm. You can fill this extra space with an 20mm adapter, which is essentially a hollow tube. This is, for example, how all the Canon lenses can be used on the mirrorless Canon EOS-M system. However, people don't seem to like such adapters that much, rather prefer lenses that mount directly. Lenses that mount directly, can then also be made smaller, mostly in the UWA and WA range, because of the shorter mount distance. You could of course design a camera that keeps the original flange distance 46.5 mm mount. The body would be deeper for no reason, and you could not design the smaller UWA/WA lenses. Thanks for your answers. BUT ... suppose, for instance, that Nikon goes to Nikon D6. IF there is no technical difficulty, they would have a choice: use mirror or mirroless technique. I guess that the latter is much better for several reasons (I use Olympus e-M1 and E-M5 ii). Professionals like large cameras, as you know. Then no problems on using the current lenses and using mirroless approach, they would get ride of the complicated mirror and would be able to increase (and much) the fps. On the other side, what about a Canon Rebel mirrorless using the EF-s lenses (instead of the other M-bayonet)? You are right, current lenses should work on mirrorless. But both designs presented here are IMPOSSIBLE with the F mount, so both lenses would add to the artistic arsenal of a photographer. Moreover, specific designs may (or may not) be faster to auto-focus (smaller focus lens group) and/or smaller in size than their F-mount counterparts. I have an adapter that mounts my Nikon F mount lenses to my E mount A6000 and it is the exact width required to simulate the distance from the rear lens element to the sensor that you would find in a DSLR. That tells me that in order to mount existing F lenses to a new Nikon mirrorless body you would need to maintain that same distance by having a big empty space in front of the sensor. While I personally don't see mirrorless as a technology to make cameras smaller (I hate small cameras except for travel) that is just a fact of the marketing so in order to make the body slimmer you will need new lenses that are designed for the shorter distance. With that being said, I have noticed on the larger Sony FE lenses that the rear mount is extended more than on a DSLR lens which I believe accommodates for the slimmer body. "... suppose, for instance, that Nikon goes to Nikon D6. IF there is no technical difficulty, they would have a choice: use mirror or mirroless technique. I guess that the latter is much better for several reasons (I use Olympus e-M1 and E-M5 ii). Professionals like large cameras, as you know. Then no problems on using the current lenses and using mirroless approach, they would get ride of the complicated mirror and would be able to increase (and much) the fps." Nikon will likely never "need" to go to a mirrorless flagship (like your hypothetical mirrorless D6) because the lenses typically used on flagship cameras tend to be so large that the camera ergonomically needs to be large enough to accommodate a mirror box. And low mass mirror designs, with rapid actuators, will likely keep the FPS "fast enough." Plus, traditionalists love their optical viewfinders. However, the flagship scenario is a special case. Mirrorless is clearly the future, particularly as EVF tech evolves. Not traditionalists, people who don't like lag and screen pixels that fade. Pentax tried that idea, but the camera looked ugly to start with & defeated the purpose of going mirrorless with flange to sensor still being so long. I think Nikon are clearly doing a mirrorless system sometime soon, but I'd be surprised if it was FF unless it was unusual in some major way, as the FF area is the one area where they have a lot of really good products and stealing sales from them wouldn't seem optimal. I'd guess at DX like Canon. Or something very different in FF. I think the "poor design choice" proponents are concentrating on solving the small consumer ILC camera with collapsible kit lens a bit too much. They are likely right that to address that market you need a small camera and the perfect example are m4/3 and Sony Nex. Solving this problem as nothing to do with offering a mirrorless body based on your existing mount. The market isn't the same. True that it would not cover as well the small body market but do you really care? If you are Canon or Nikon you already have dedicated mirroless mounts. It was not necessarilly the huge success you hoped for. That is completely unrelated again with having a mirrorless body that happen to natively support your historical mount. This is just another model in the mount echosystem. Potentially a quite interresting one, but still. The investment is much smaller. It target enthousiats and pro that will welcome and extensive lens line and wouldn't mind a bigger and more ergonomic body. Of course it is possible to make a mirrorless with the same flange distance as a SLR. But then it's actually not a new system. You just can evolve your current camera line with bodies, some of which that have a mirror, some of which don't. It's just an evolution of the current bodies, and I expect this will happen eventually, when electronic viewfinder speeds become fast enough to compete with optical ones. But then, if you eliminate the mirror box, why not go the extra step for a new system, which also allows you to make smaller bodies, and smaller UWA/WA lenses. All the current lenses can be used with a hollow tube adapter. Because echosystems are based around mounts. Cameras come and go but the lenses are kept far longer and that finally the mount people buy in. Native support is also better than an after through adapter. But you can pursue both of course. Where I am not convinced at all is that it allow for smaller lenses at all more than the sensor size. Overall the Sony FE lenses are big/jheavy and quite comparable to equivalent Nikon/Canon lenses. Fuji X lenses are small but dedicated to APSC and if you see their f/2.8 zooms are big/heavy. If you look at Pentax limited lenses all made for K-mount you get a variety of small, light, hight quality lenses from 15mm to 77mm including 4 pancakes. They even have a some moderately size zooms, a collapsible kit lens, a nice small 55-300 and even the f/2.8 zooms are not that big. People value ultimate resolution for hypothetical 40x60" print seen with a magnifying glass... So mirrorless bodies get just that too. Pattern doesn't mean in production. Withdraw before a competition like DL is the act of chicken. Hopefully Nikon can produce something better than Sony, or at least EOS M, or end up like Samsung. I am more interested to know what kind of mirrorless are they producing rather than the glasses. They said they could not get the technology in the DL to work. To put a flawed product on the market and then have to recall it is not something they want to go through again. Because Nikon still can't develop an AF technology that can compete with Canon & Sony. The same reason why Nikon video division was closed down more than 3 decades ago. So I checked the patents and the 50mm lens is around 257mm long, or longer than my 300 f/2.8L IS, now that is simply ludicrous, even Sigma would blush. Even bigger LOL, needless to say to can't read it seems, there in B&W 256.8mm in length. Wanna try that again. Yup, there are so many elements in there, it looks huge. Yep, you are completely incorrect. Look again. Not sure if you're reading the patent specs correctly or not, but I would kind of expect a 50mm f/0.9 lens to be on the large side. @russbarnes. What point are you trying to make? Thx has shown figures from the linked embodiment that shows total length of 256.8 (presumably millimeters). Just saying he is wrong and saying read it again is useless and annoying. Anyone who looks can see that is the figure given. The only way you can say he is wrong is if you actually know a different figure for the total length. So why don't you start by telling us what the real length is, and where you got it from? If I were Fuji, I'd pack it up right now. No way they'll compete with Nikon with their toy hipster cameras! Considering you bought a bunch, seems you like toys. Don't worry...we know you dont actually own any cameras. Sony is going the way of Samsung once Nikon releases their mirrorless FF camera! panchorancho, if sony folds, Nikon will fold soon after. Remember where Nikon sources their sensors and where the innovations that make Nikon and others competitive. In fact, if Sony was mean and not forward looking, Nikon, Pentax and others it sells its sensors too would be long gone. But Sony is smart. The normal mind set is you deprive your competitors access to the no 1 piece of the puzzle of a digital camera - the sensor. Without Sony, these companies would have probably folded a long time ago. If you can't figure why Sony does this, then that's your problem. And Sony is not like Samsung. Sony has a loooooong history in digital imaging. it's not a beginner. They would have found another image sensor supplier, then. E.g. Samsung NX1/NX500 sensor has 28 mp, 15 fps and cross-type OSPDAF, which Sony doesn't have still and they put 24 mp with AA filter in their cameras. Nikon exists because of fast AF and large lens portfolio, which has nothing to do wth Sony. I think the cell-phone business does well enough for the Sony sensor division that one camera company more-or-less really isn't critical. The pro are not carring much about electronics and all. They make Canon #1. There other sensors provider than Sony and the performance maybe isn't as good but it still work. If Sony was not there the market would be different but if anything Nikon sales wouldn't not be eaten by Sony so they would be happier overall. Sony need volume to justify the expense to make the best sensor. They don't sell enough camera by themselves. Silly question, but what is the difference in a lens for a standard FF DSLR and one for a mirrorless FF. Would they not be interchangeable if they are both for FF? Do they have different mounts or something? A mirror-less camera has no mirror so the lens can sit a lot closer to the sensor. True, but it should be noted that putting the lens's rear element so close to the sensor is not without consequences. do you mean rays hitting corners at shallow angle? For the lenses pictured, this does not occur. It depends on position of exit pupil, NOT the rear element. It's not major issue on BSI sensors anymore. See Sony FE lens line. They are not any smaller than the DSLR lenses with same focal length and apperture overall. The shorter flange allow for smaller design, but when you aim for ultimate quality, you may not be able to leverage that that much. Lens-sensor reflections and other kinds of flare are a major problem when the flange distance is that small; and yes, vignetting is an issue too. If you're into contra jour and similar then the good old F mount will be supreme for a while yet. Mirrorless lenses are made with future technology, while regular lenses are not future proof. You can read more about it regarding the progress of Moore's Law and the dynamic physics of optical design. Basically new lenses do not have the reflecting mirror built into the optical flange path of the light ray emitters. Very simple when you think about it. Unfortunately Sony lenses are not true mirrorless since they do not give a proper 4k readout on the sensor to lens distance ratio. Properly calibrated lenses are more a specialty of Nikon and a few lens designs from Cosina Zeiss. "A mirror-less camera has no mirror so the lens can sit a lot closer to the sensor." yes why you can have pancake lens, but most pancake lens are wide angle because the short focal length. But lens size length can't change too much because of physic. Focal length is the same in for all lenses and camera. Why you need to place an adapter in front of MILC, also why some sony FE lenseshave a big chuck no glasses element in the rear. 50mm focal length is the distance between the focus plane and the sensor, which is the same on a mirrorless or dslr. The focal length will not change. Maybe they can take a few elements infront of the same focal length it might shorten the lens, but a 50mm is going to be all around the same length as other 50mm. Higher grade and bigger aperture lenses might be a tad bigger, longer and has more front elements before the focal length. The cheaper one are as small as it gets. Hmmm, these might be cine lenses... Size and weight wouldn't be such an issue then. It would make sense from image height in specs as well. We'll see (maybe). This shallow a DoF on a cine lens wouldn't be super useful, I'd think. Best news of the day. Welcome Nikon to the small but fun mirrorless world. According to CIPA statistics, shipments of mirrorless are about 50% of DSLR by unit count and about 90% by value. But that will probably change in the second half of the year due to DSLR launches. Selling more as DSLR owners wnat something small for travel. Seems like a trend. I'd stick with Nikon. Absurd as it sounds, I despise poorly designed logos/branding/names. the 36mm has a total length exceeding 160mm. Right. This will really make it to market. both look like defensive patents and not practical patents. Guessing they're using these as templates, so they don't make the same mistake they did with the F-mount size. 1.2/35? 0.9/52? This is Nikon's Noctilux, most likely a premium lens that will cost arm and leg. But has so many lens elements, that will surely be overcorrected. But everything to please the same crowd of 'users' who sing all the same song, and seem to cast the spell on minds of management in the entire camera and optical industry. So mirrorless FF it will be, with superfast lenses large as wine bottles, and everyone will buy them to take premium shots of their cats or afternoon snacks. This is one of the most cheerless things i have ever read. Welcome to imaging Gotham. It will go EXACTLY that way. It's the future pre-dictated. 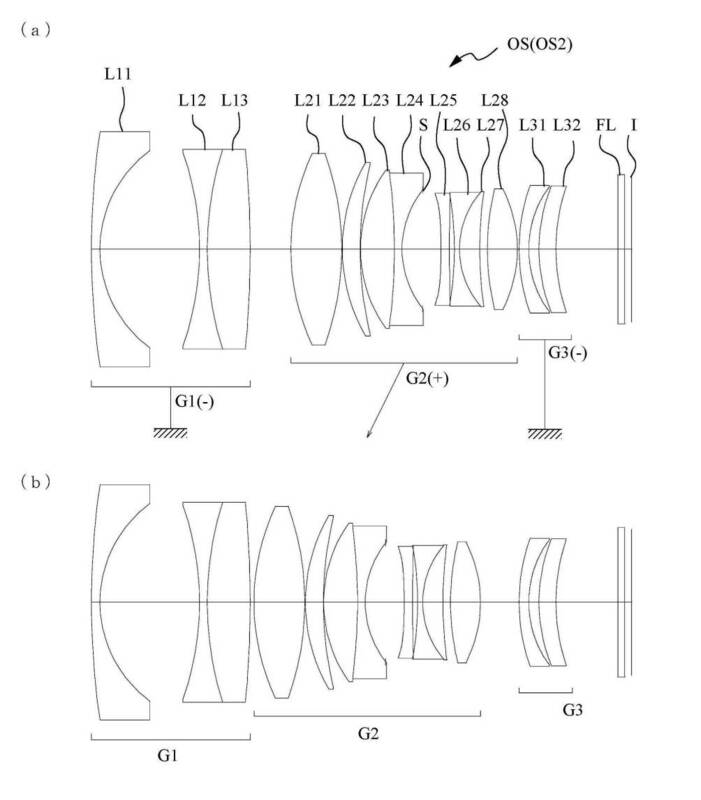 Cheer for it, because we already know how will mirrorless cameras and all lenses look like, and these patents confirm the already established trend industry-wide! Nikon does not need to announce anything — we know, to the last detail, all about their future camera and lenses. Because if Nikon does not do it in *exactly* that way, it will be booed to death. It's the rule of the mob, and their tastes — not the rule of solid engineering or scientific facts. There is no such thing as overcorrected. The best engineers can do is perfectly corrected, but that is close to impossible. Well, metalenses seem to be developing faster than expected, with any luck we may yet be getting tiny 16/0.95s in a few year's time. I don't think so. People will find it difficult to pay 2x price for a lightweight thing. They will feel it's a scam. There is overcorrection in the idea of a lens that is so good that its reviewers brand it as "soulless". Frankly, I enjoy old Pentax lenses that have a creamy smooth rendering and also some bitingly sharp Leica lenses. I have used old Nikon lenses that had warmth and Old Vivitar lenses that performed with charm. I currently use a lot of Canon lenses that are sharp and contrasty but I never feel that they have any particular character. The timing of this announcement is odd, because I'm wondering should I just skip the D850 and wait? You do realise that since these are patents they might never see the light of day and even if they do they could be years away. I hardly think these would be the very first lenses Nikon would release for a new mirrorless (which is coming reasonably soon), but who knows maybe they will pitch the mirrorless so high end only Leica buyers could afford it. Aside form that either of these would be pretty sweet, but price could leave most of us out of the loop. And you shouldn't expect Nikon to get it right the first time, a7 was pretty crappy first gen and Sony was all-in, Nikon isn't. This is not really an announcement from Nikon. Someone just saw their patent applications and published them. It's hard to tell based on the optical formulas alone, but it's *possible* that these lenses aren't too gigantic and brick-heavy. Nikon might be trying to go all-out in efforts to revive the "mirrorless can be lighter and smaller" mantra that was so widely shouted by rangefinder users back in the day, when the first Sony A7 came out. We've seen dinky little lenses from Leica and Pentax, the latter even offering AF in the lenses, though not with a built-in motor admittedly. It'll be interesting to see where these lenses fall on the playing field, if they are ever made at all. I am an happy Nikon user and I would never use a sony A7 mirrorless camera for work because I don't like the ergonomic of these cameras with pro full frame lenses that are anyway big and heavy as their corresponding FF dslr lenses. I find my D750 greatly comfortable, I like how it looks, the controls, the image quality, the menu, I love too much Nikon lenses rendition. But for personal photography, out of work, I just pretend to use a smaller and unobtrusive camera with one or two small lenses, such as the Sony A7r2, which I can mount every small manual lens and enjoy with an unobtrusive, small and light bag. The issue for Nikon right now is that the Sony a7r2 already exists and I can buy it right now, their FF mirrorless camera, of which nothing is known neither on the horizon, is still just a dream, right now and right tomorrow morning. I'm sure you could give me 10 good reasons why nothing will ever come out of this, and still I would say: This is interesting. Sure someone else could license the design and make them. These will never happen. Way too big, heavy, and expensive for a mainstream mirrorless system. Probably just prototypes. They make many designs and prototypes out of which only a few make it to end product. Whenever they have to do something new with a design/prototype, they just register the patents for the heck of it. The technology could be used in other lenses in future, or the patent can be sold/licensed to someone else. Yeah! Go take the fight with Leica again! OK. Look at the images, the lens diagrams. Imagine the front filter thread is 72 or 77 mm and now try to imagine the lens' length. These two lenses are HUGE! Me says these are only patents that will never come to fruition. Maybe some other lens designs in the future will be based on some of the solutions presented in these patents, but that's all. These are not product sketches and certainly not be to scale. They're just design patents as you said. Those don't look like a FF 52 and 36mm looking at the diagrams, the angle of view looks quite small, more as though they a re telephotos for the 1 system, especially given that they are both telephoto designs with negative power at the back. Mind you, they have negative power (huge) at the front, too. But the patent does give a image height of 21.6mm, which would be FF. Odd. 36mm on CX is 97mm. Doesn't make sense. Could they have speedbooster lens elements built in? For instance a 90 MF f1.6lens with a 0.58 Speedbooster could make a 52mm lens with a 0.9 aperture? bobn2 Could these lenses be image-space telecentric or approx? This would require a large diameter rear element (as shown). If it is possible to get less vignetting, regardless of sensor technology/microlens design then this would be a huge bonus, given the excessive levels seen in many fast FF lenses. IMO these specs suggest an APS-C mirrorless, where f/0.9 eqivalates to f/1.4, and f/1.2 to f/1.8. Hence creating APS-C lenses with the DOF of an f/1.4 standard lens and an f/1.8 portrait lens on full frame. All the lens examples in the four patents have an image circle that covers a 24x36 sensor. I think they are running out of time. With so many mirrorless cameras out now and more coming out every month. When Nikon user makes the switch most of them sell off everything Nikon to make a full switch so at that point they are no longer a Nikon customer. It takes a lot of money in body's and lens to make a switch so most will not be coming back. Look at the D850 that should have been a mirrorless camera. I will never buy another non-mirrorless camera and my D500 is not starting to get old. I just hope if they do make it this year they do not hinder it like they do many cameras. They need - a FF a Cropped and a new V4 sized camera that both can use all the other Nikon lens. If they come out with a new lens mount for FF and cropped and all new lens and no older lens will work or will only work with limitations then that's it for me time to move on. Except for the sony apsc milc, most milc buyers are older demographic from what i see and read, aka dpreview. Plenty of market left for canikon. Most people dont just sell of their lens collection and switch, especially if they still have kids growning up and a house mortage. People posting on photography website are the minorties. Oh yes, although "just" a patent, I'm extremely excited about the upcoming mirrorless Nikon! - 2017-156432 with 4 examples of a 50mm f/0.9. Nice! I guess it's common to do it this way as they probably "test" different designs and have their configuration anyway. If it looks like F2 it must be F2 !!! Nikon took F2 Photomic from their museum then unhinged the mirrors attached digital camera back install MD4 and voila! They got MIRROR-Less motor-driven retro camera!!! Way to go Nikon .... COULD I JUST BE DREAMING ??? Guess they'll be affordable, light and small. I think you mean the "rich kids"
Well, if Nikon would bring SP mirrorless with corner EVF (RF style) with great control and direct access to features + small 24/2, 35/2 50/2 and 85/2 primes, 36MP, colour rendering from D3 or D850 and AF from D500, I swear I will sell my photo gear - Canon, Sony, Fuji, Olympus, Panasonic, Pentax and Nikon, to buy this beauty. "While details are confidential, we can say that we are currently developing new mirrorless products that build upon Nikon's strengths, and offer the performance prospective customers expect, including the ultimate optics performance, image-processing technologies, strength and durability, and operation." "On the product side, we should compete in the mid-range and high-end DSLR. We aim to be the top in a genre, and earn profits even if sales are down. For a smartphone generation, we put out a very Nikon-ish mirrorless camera which is superior to rivals in quality. Making the best use of industrial lens technology, we would like to overwhelm them in lens quality. On the other hand, we need fun." I see no indication that Nikon is developing a FF m/less camera. They actually talk about competing in the 'mid-range & high-end' DSLR sphere. The m/less product is described as being for the smartphone generation and fun. 36 and 52mm sound like odd focal ranges for a ff sensor. Why? Fast fifty was everything from 45 to 56mm. I think anybody would be hard pressed to tell the difference between 35 and 36mm lenses. It's not like they are not "rounding" the focal length as it is. What about Pentax 31, 43 and 77mm Limited lenses? Pentax loves to be the oddball. 50 will be marketed as 50mm and 36mm as 35mm. Who's gonna measure anyway. 35 and 50 are very common FL. Nikon will start with more pro lenses and fewer overheating cameras. I personally think this is a great plan. Nikon certainly has this Sony users attention. Says full frame in article title, same for the body of the article so I'm assuming it's for full frame sensors. The 18 lens examples (fourteen 35mm f/1.2 and four 50mm f/0.9) in the 4 patents all have an image circle that covers a 24x36 sensor. Apertures that wide are pointless, except when Canon releases lenses with them, then they're the best thing ever. if it is for fullframe why the "odd" focal lengths? Prepare to see more of this strategy. Good way to differentiate from high quality third party offerings. Sigma/Tamron less likely to copy exactly. You could tell 35 vs 36mm photo? Because those are (exact) focal lengths extracted from patented formulas, not 'marketing', rounded focal lengths. Same for the max. apertures.